The bungalow is located in a quiet residential area close to a little forest. It can accommodate up to 7 persons. The bungalow provides all necessities and conveniences, including 2 bathrooms, two toilets (one located in a bathroom with shower, the other separate next to the main bathroom), an open kitchen with a ceramic glass cooktop, microwave, mini-oven, dishwasher and refrigerator. Wifi internet access and cable TV with Dutch, English and German channels are available. There are four bedrooms, three with double beds, one with a single bed. In a separate room you will find a washing machine and a dryer. As part of the bungalow you will rent a garden shed which contains bicycles for all guests, including several children’s bikes. The use of these bikes is included in the price. There is off-road parking for two cars. My wife and I both grew up in Germany about 3 hours drive from Haamstede. My parents bought the bungalow in 1974. As long as I can remember I have spent my holidays there. I took over the bungalow from my parents in 2013. In 2000 my wife and I left Germany, first for Ireland, eventually settling in Leicester, UK. We therefore cannot simply spend a weekend there anymore, as we used to, and are happy to rent the house to you. When we got our own kids we returned to Haamsted for the annual summer holidays where we have a family reunion with all grandparents. Our boys love the house and the place, just as I did when I was a child. This house is the most important piece of 'home'. If you have ever lived abroad, you will have noticed that people ask you whether you go 'home' on your holidays. For me, even though I am German and not Dutch, this house is my home. The dining area is located between kitchen and living room. Big and enclosed garden, not overseen and wind protected. The use of the bicycles (including children's bicycles) is included in the price. Alhoewel de inrichting wat gedateerd is, hebben we een fijn verblijf gehad! Het huis is ruim met een grote tuin en alles is verder aanwezig. Stukje bij beetje wordt er van alles vernieuwd. De buurt is rustig en de locatie is prima. Je bent zo in Renesse, of Miiddelburg enz. Voor ons is het zeker voor herhaling vatbaar. Das Haus liegt in einem wunderschönen Wohngebiet. Die Aufteilung des Hauses ist schön und man hat ausreichend Platz. Der Garten ist groß, es fehlt jedoch auf der 1 Seite ein Zaun, damit der Hund nicht entwischen kann. Ansonsten war die Ausstattung gut und wir haben die Zeit sehr genossen. Schönes Haus in einem Wohngebiet. 1 Std Fußmarsch zum Schönen sehr weitläufigen ruhigen Strand. Das Haus ist sehr großzügig geschnitten. Optimal für einen Aufenthalt mit 6 Personen und zwei Hunden. Einziger Nachteil, der Garten ist nicht eingezäunt. Sauberkeit war auch ok. Der Kontakt sehr freundlich und unkompliziert. Alles gut. Heel aangename bungalow, dicht bij het strand! Leuk dat er fietsen ter beschikking staan. Jammer dat we geen echte oven hadden, enkel een microwave met grillfunctie, maar dat kon de pret niet bederven. 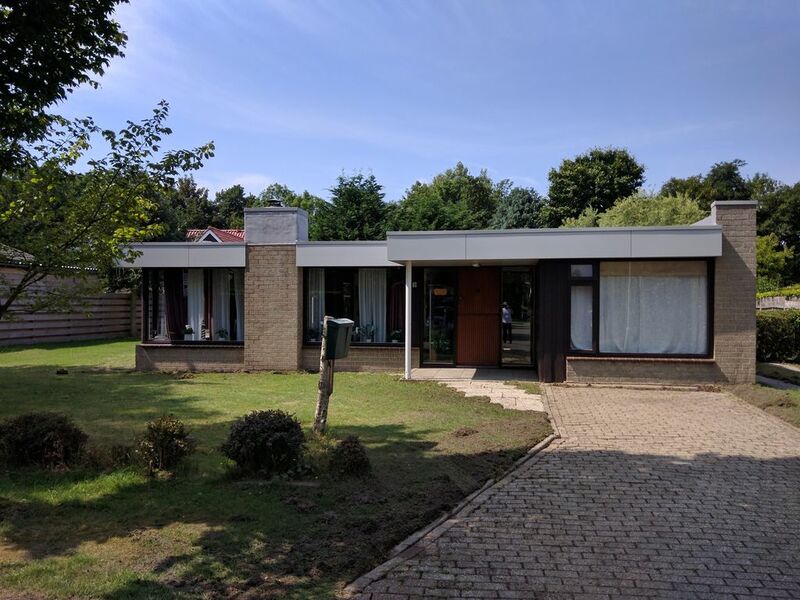 We zouden de bungalow zeker aanraden! Alles in allem ein schöner Aufenthalt. Schönes Haus,gut geschnitten leider etwas vernachlässigt. Erstmal möchten wir die nette Verwalterin loben. Vielen Dank. Das Haus ist super gelegen. Schön ruhig, eingefasst von einer großen Rasenfläche. Perfekt als Basis für Kurzausflüge mit Hund. Bequeme Betten. Wir möchten aber an dieser Stelle nochmal an den Vermieter appellieren etwas mehr Augenmerk auf die Ausführungen der Endreinigung zu legen. Selbst für nicht so penible Gäste ist manches Grenzwertig. Ich hoffe das diese Kritik etwas bewirkt um den Aufenthalt für Gäste noch besser zu gestalten. Für uns war's in Ordnung und wir haben die paar Tage sehr genossen. Wir sind jedenfalls nicht abgeneigt das HappyHuisje nochmals zu buchen. Burgh-Haamstede is a small town (about 2500 residents) on the island Schouwen-Duiveland, approximately 4km distance from the better-known town Renesse. Haamstede has all necessary shops and conveniences. As is often the case in Dutch towns, the church is the centre of the town. Haamstede is close to Burgh. In the direction of Nieuw Haamstede where one can find the well-known lighthouse, there are a number of camping sites and tourist attractions. The immediate surroundings of the bungalow invite you to undertake walks and bicycle tours. During the summer one can spend time at the Haamstede beach or one can engage in a number of water sports, such as surfing, diving or kite-buggying. These are offered at different areas of the islands, notabley around the Grevelingendam. The tourist information (VVV) gives more detailed information concerning the numerous activities that are possible on the island and neighbouring islands. Bettwaesche kann gemietet werden fuer €8.50 pro Person; Bettwaesche und Handtuecher fuer €10 pro Person Bettwaesche und Handtuecher sind vor Ort bar zu bezahlen €100 Kaution sind vor Ort bar zu bezahlen und werden, falls keine Schaeden auftreten, bei Abfahrt wieder erstattet.